We participate in clinical drug trials in sepsis, pneumonia, COPD, and asthma. 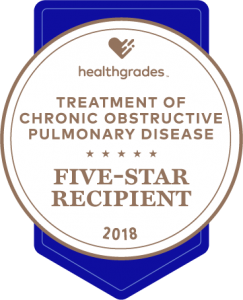 Pulmonary rehabilitation – This comprehensive education and exercise program may benefit patients who have chronic obstructive pulmonary disease (COPD), emphysema, asthma, chronic bronchitis, lung cancer, and other chronic lung conditions. The Pulmonary Rehabilitation Department also offers monthly support group meetings. 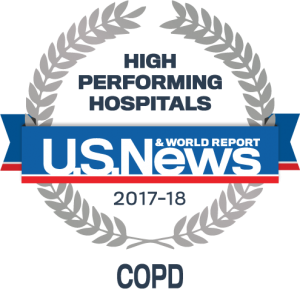 Respiratory therapy – Respiratory care practitioners are directly involved in diagnosis, treatment, and preventive care of the patient with respiratory problems. 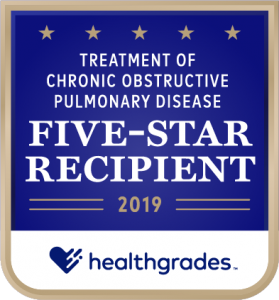 Patients with COPD, emphysema, asthma, chronic bronchitis, lung cancer, and other chronic and acute lung conditions may benefit from respiratory care. Procedures include breathing treatments, arterial blood gases, oxygen administration, incentive spirometry, CPAP/BiPAP, and ventilator management.